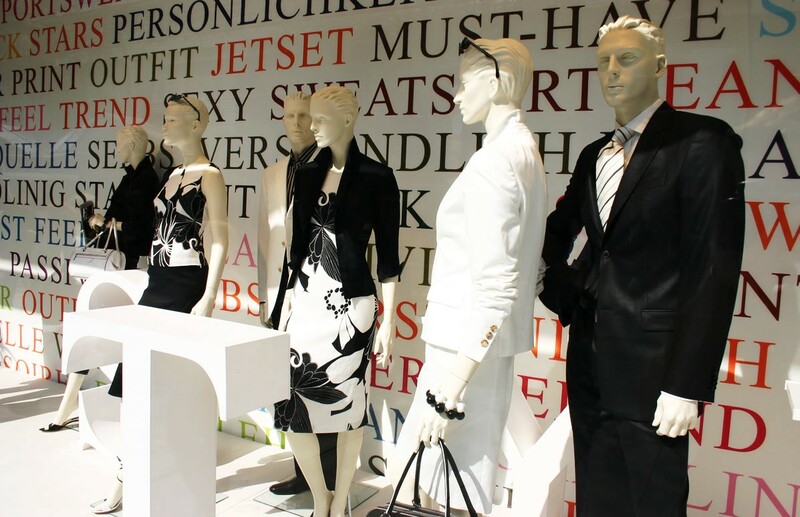 What Can HCI Learn From the Consumer-oriented Fashion Industry? I watched a video produced by the Business of Fashion (BOF) last week. It was an interview with the rising star in the fashion industry — J.W. Anderson. I like BOF videos. They often dig deep into certain topics but never lack of concrete details. The interviewer Imran Amed, who is the founder of BOF, always speaks in a clear way and asks interesting questions. From this video, I learned more about fashion design process in a real working environment. Anderson and his team come up with some ideas and execute them in some forms. Even when the designs are still in a raw situation, they post the images of them on social media or use other means to test the ideas in the market. Then they will get direct opinions from their customers. This iterative process is beyond my understanding of fashion. As a fashion scholar trained in cultural theories, I know too much about the importance of myth making and meaning making in this area. This is often done by fashion gatekeepers who play the role of “fashion police” and educate the public with their professional opinions. Fashion gatekeepers usually include editors, journalists, fashion designers, merchandisers or buyers etc. Today, the most well-known luxury fashion brands are always named after the legendary designer who started the company, such as Chanel, YSL and Dior. Their creativity and talent have become the core value and heritage of the brands. As far as I know, these geniuses worked in the way similar to artists. They sketch out what they think are beautiful clothes and make real garments accordingly. They might have a figure in mind, but they never just design for some specific persons. Human body is just a medium for them to create beauty and express their ideals. To my surprise, Anderson was talking about a more “user-centered” perspective in fashion design. I like his designs. He has his own signature looks and unique styles. I thought he would be the kind of person that does not care others’ opinions. But obviously I was wrong. He is not, at least, in his work. That may be the secret of his success in this competitive industry. After all, it is not easy to combine artistic talents with commercial needs in fashion. Going to the extreme of either end can be fatal. This drives me to think more about consumers in the fashion industry. There have been discussions in academic on the differences between fashion thinking and design thinking. It is argued that the former tends to focus on aesthetics, emotion and innovation while the latter emphasizes problem solving and user-centered design. Is fashion industry really not user-centered? Fashion may seem not to be as user-centered as the tech and information industry is. That is because they understand users or consumers (in the fashion business, consumer is the term) in different ways. If you use the criterion of user research from the tech industry, you will of course end up concluding that the fashion industry has nothing to offer in this area. However, on the contrary, I think fashion can provide many insights for the tech industry in understanding users. High fashion refers to the luxury segment in the industry, including jewelry and haute-couture etc. Let’s take haute-couture for example. When fashion was born, clothes were tailor-made to fit an individual’s body. Tailors measured the customer’s body first and then started to generate ideas and construct the garment. Understanding the body is the cornerstone of making something that fits the body as well as looks stunning. Therefore, each piece of clothing is unique and the designs are truly personalized. Personalization is one of the most important values that designers in the tech industry are trying to fulfill in their products. In Human Computer Interaction (HCI), personalization is often achieved through customization, which means the user can control the output of the software according to his preferences. Good design should empower users and offer many options. This has been discussed too much in this field. In the old times, a tailor could make garment as exactly what the customer wanted. But what makes clothing fashionable is not the making process. It has to be a famous fashion designer. The customer likes and admires his designs. Made to measure, but designed by the designer. There would be small negotiations, but the final look mainly came from the designer’s idea. Haute-couture works in this way. In fashion, institutions have been established to regulate the practices. As one of such institutions, the fame of designers plays a crucial role in turning clothes into the abstract “fashion”, hence influencing fashion consumption. And fashion consumers are buying it. Thus personalization in fashion is not to empower consumers, but to influence consumers through institutions. Now, you know the differences, right? Maybe it is time to reconsider customization and how much control should be given to users in HCI. After the second industrial revolution, the fashion industry had quickly turned from haute-couture to mass produced ready-to-wear. Seasons were created to produce constant desire for a change. Until now, there is only a very small haute-couture production in the world. Most high end luxury houses provide ready-to-wear collections. Then the designers do not design a garment for a specific customer, but a group of people. The industry has been speeding up since fast fashion was born in the 20th century. As clothes become cheaper, the mass can enjoy fashion and trends. A fast fashion company is very quick to respond to market. Sale’s figures decide much on what styles or elements will be continuously put into future designs. What sells best will reappear in different items in stores in a month or so. Nowadays, not only fast fashion companies, but also designers’ houses start to pay great attention to consumer research, like what J.W. Anderson did in his company. Thanks to the Internet, a large number of data are easily accessed and analyzed. Personal information on the social media of brands, email subscriptions, and e-commerce platforms etc. are so precious that the fashion companies can learn more about consumers and alter the marketing strategies when necessary to fit the changing situations. Apart from mastering more private information, the fashion industry is embracing the diversity of using multiple media tools to create image-centered advertising. They must be very excited to be able to reach consumers and seducing them in so many ways. When desire is evoked, sales will be increased. Meanwhile, consumers are also very happy to connect with the big brands in a more intimate way. This seems to be a win-win situation. I am not suggesting that HCI should stimulate lavish consumer culture as what fashion might have led to. What I am arguing is that studying fashion can broaden our understanding of aesthetic experience, emotions and desires of human beings in everyday life. These aspects have become more and more important for designing successful digital services and devices. In fact, fashion is consumer-oriented. First, fashion design, in the end, is all about making people look good. Designers have to have targeted consumers in his mind. Consumer segment in this industry is usually much more diversified than the users in tech business. Different brands have their own unique aesthetics. Second, fashion is good at discovering the inner self of an individual and meeting the emotional needs of a person. This is amplified through fashion diffusion mechanism. A garment is made to enhance a person’s look. Only when it is put in advertising campaigns, editorial images, or recommended by gatekeepers, or worn by celebrities, that the garment becomes something special and desirable. People’s existence in the world is intrinsically ambiguous, between self expression and social conformity. Even if they are angry teenagers that do not care about others, they would need to find their peers with similar minds and stick with them together. To be social means one needs to conform to social norms to some extent. This implies that people can be persuaded and guided by what others say. Fashion knows this “ugly” truth so well. It on the one hand, advocates that people need fashion to be independent, to realize their own opinions and be themselves; on the other hand, it makes fashion gatekeepers and leaders to act as the role models for the mass. The former excites people in finding themselves while the latter persuades those who cannot make decisions or assures that people have made the correct decision. Both ways are inseparable in seducing consumers to enter into the fashion world. HCI may have developed a lot in the “finding self” aspect, but the social institution aspect is still underestimated. We should understand that human’s emotion and desire are complicated, much more than just be yourself. This is something HCI can learn from fashion. For instance, in the case of online shopping, a website can offer recommendations based on not only users’ preferences, but also best sellers, experts’ picks or the best reviewed. Many big online shopping websites do offer more types of recommendations now. As to fashion e-retailing, to consider both the individual and social aspects means the service should not just care about consumers’ preferences, but also provide more services that are based on a combination of professional opinions and the personal styles. AI can be used to offer fashion expects’ suggestion on what clothes will be suitable and trendy for a particular type of body shape and preferred styles. Remember, in fashion, what’s most comfortable for a person is often not the most beautiful look for him/her. In addition, considering fashion mechanism requires developers to go beyond recommending clothes based on similarities which most of the major e-retailers can do now, but think about combinations, such as what can match the user’s top or bottom. In academic, a few studies propose such a combination perspective to build clothing recommendation software. I think there will be many more opportunities if we account for the norms of fashion practices in interaction design. Doctor in Fashion and Tech. Passionate about art, design, fashion, literature and travel. I write whatever I feel like to write.